Unlike Zap Zone or old style laser tag where you must play INSIDE a smelly inflatable. With Laser Tag everyone sees the action. Players are not hidden inside a blow-up inflatable maze, rather it this open and fun. Spectators get involved by cheering on their favourite team. 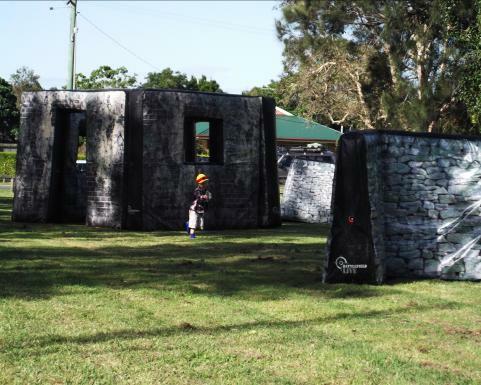 Laser Tag is an excellent fund raiser for any group running a busy event such as a Fete, Show or Festival. In fact, we are often seen as the best value ride at the event. Laser Tag is also great played at night, under flood lights. Laser Tag is GOOD VALUE. Because we are new and exciting, our attraction will drive new people to your event. We can organize a fixed fee, or a commission basis, based on number of Taggers and event duration and how far from us you are. Arm Bands are not a problem. 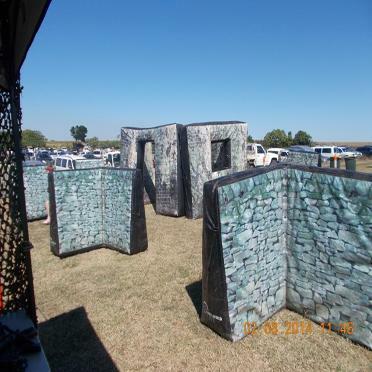 Laser Skirmish is very popular attraction at such events and with our ability to process large numbers of players per hour. The format is up to a 10 minute mission running with maximum of fifteen people at a time. During busy periods this can be dropped down to 7 minutes then up to 6 missions per hour can be completed. 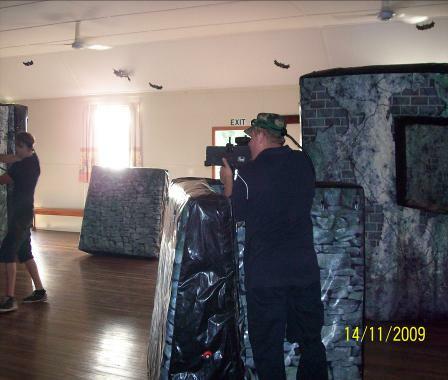 Laser Tag needs a minimum width of 10 metres and depth of 20 metres. (For very small events we have been squeezed into 8m by 15m.) Either on the oval or in gym or even around some trees - Laser Tag can be played just about anywhere, even around the buildings. Our standard full service event package includes 20 taggers guns, 22 inflatable's for 4 hours, including up to 3 staff.